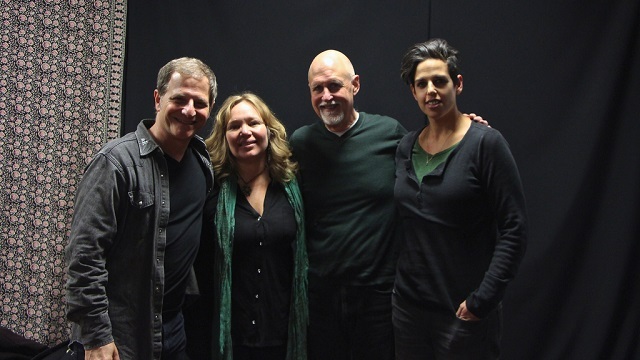 The Levins and Melissa Greener, emerging artists who are part of the November 12th On Your Radar at Rockwood Music Hall, came to WFUV for a combo session in Studio A. A Detroit native, folk crooner Melissa Greener traveled the world, living in China, Canada, New York, and Austin before settling in Nashville. Her latest CD, "Transistor Corazon," produced by Brad Jones (Jill Sobule, Richard Julian, etc. ), has covers of Jesse Winchester and The Beatles and some striking originals, including the title track (a co-write with Carrie Rodriguez's dad David), which she performed in Studio A.